Click here to view pictures and listen to the discourse from the delightful evening! 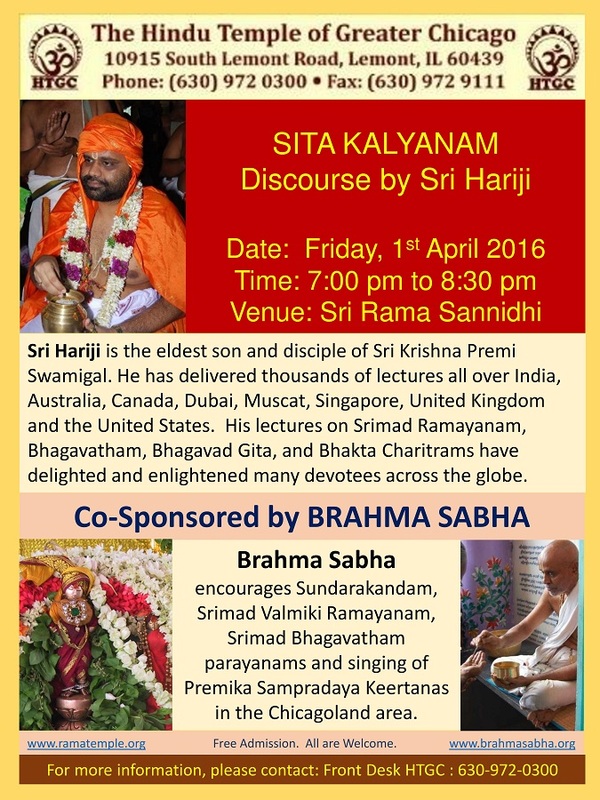 Brahma Sabha is happy to co-host the Sita Kalyanam event, katha shravanam discourse by Sri Hariji, in association with the Hindu Temple of Greater Chicago. Click here for the Program flyer pdf and here for the HTGC event page !